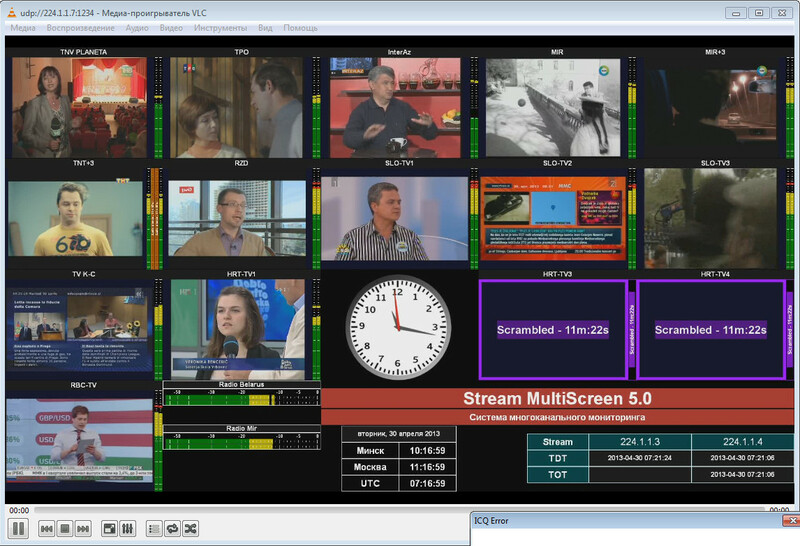 MultiScreen is capable of encoding of incoming video from various sources to one (or a few) Mosaics in IP TS. 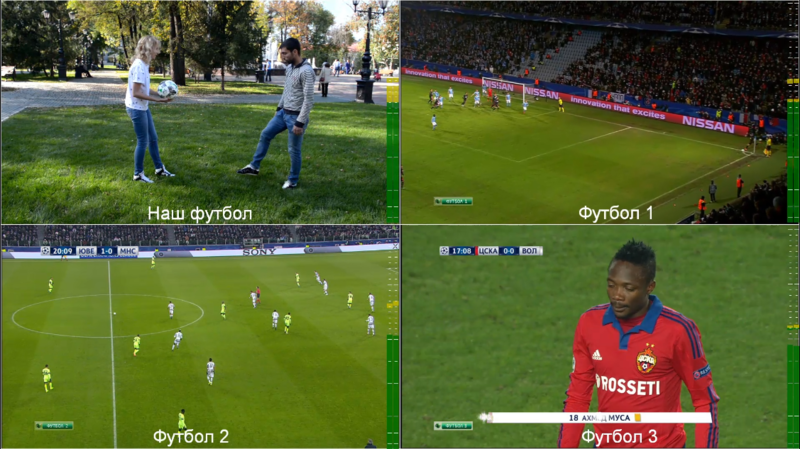 DVB-ASI Any customized Resolution for Mosaic from 1920x1080 till 320x240. 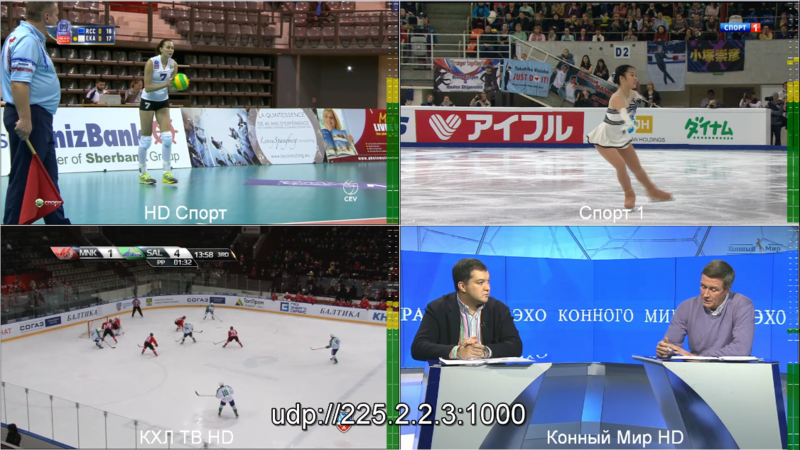 DVB-T/T2 Any customized Bitrate 200Kbit - 30 Mbit. 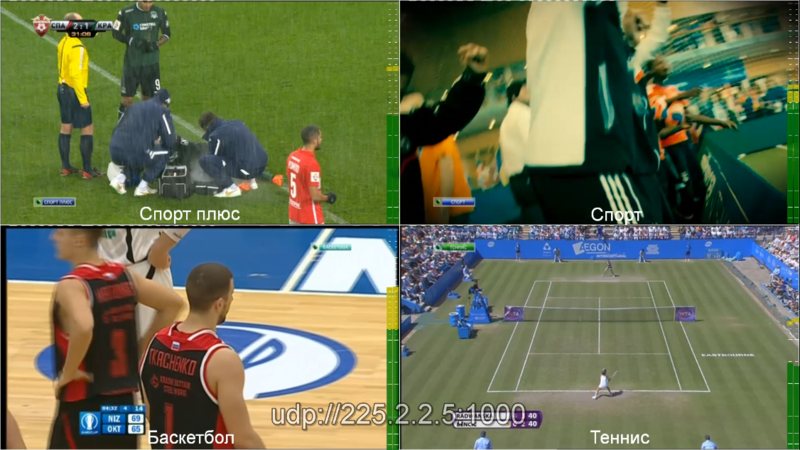 DVB-S/S2 Ability to specify the service name in SDT table. 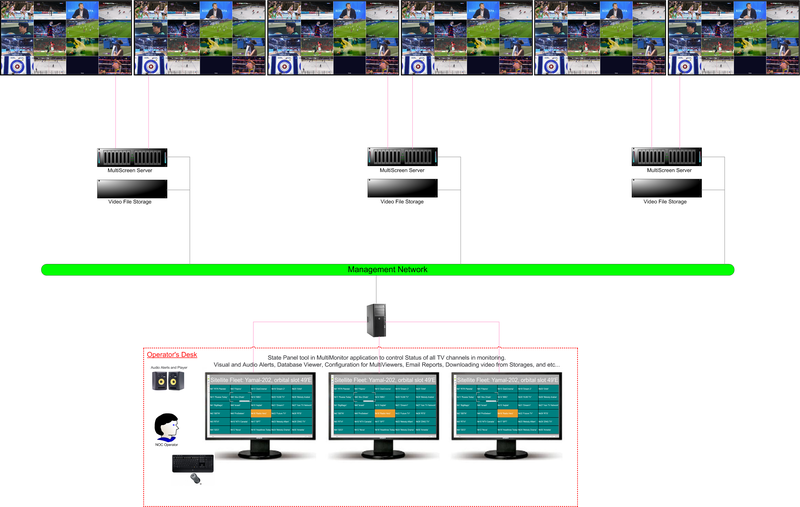 Multiplexer, included in Encoder, allows producing MPTS from a few different Mosaics or encoding sources to one mux.